I'm a 27 year old uni student who loves to keep busy in this great city. Follow me as I show you my favourite little places and things to do! Image courtesy of Brisbane Running Festival Facebook Profile. Does your idea of a good time involve strapping on the running shoes and hitting the road for an hour or two? Do you enjoy keeping fit for fun or to look good? 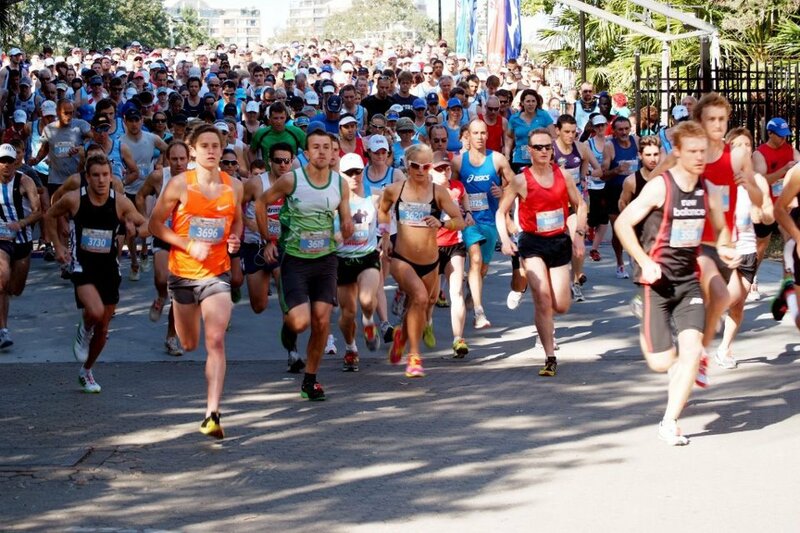 Then the Brisbane Running Festival will definitely have a race that suits you! Celebrating thirty years since the Brisbane Marathon Commonwealth Games, this year's festival looks to be an event not to be missed by running die hard athletes and weekend warriors alike. Events and attractions that are a part of the festival begin on Friday August 3rd with the Running and Fitness Expo held at the intraining Running Centre in Milton followed on Saturday by the official festival welcome from former world champion marathon runner Robert de Castella and a media Q&A with the elite runners taking part in the event. Sunday morning is when the races will take place and don't be intimidated if you're not a long distance runner, there are events planned that cater for every level of fitness from 5km walk/run distances and team events right the way through to the gruelling 42.2km of the marathon. Not only that, there is also a 2.2km kids event to get the littlies out and burning some energy. All events start and finish at Brisbane's beautiful botanic gardens where you can recover from your race in one of the city's most relaxing places. Not only that, everyone who completes their event receives a finisher's medal and running festival apparel and race winners and age category winners receive trophies and cash prizes! Entry costs are also substantially lower than other running events giving more people the opportunity to take part. Early bird rates expire on the thirteenth of July and after that normal entry rates apply so get in quick if you want to save some extra cash. All the information you need for the event along with entry details and even training schedules and tips can be found by clicking here. So whether you're a professional athlete wanting to test your mettle against the best, or a regular Joe that runs for enjoyment and fitness, this event promises to be one that will invigorate your love of running and give you the chance to set new personal records. Why? Celebrating thirty years since the Brisbane Marathon Commonwealth Games, this year's festival looks to be an event not to be missed by running die hard athletes and weekend warriors alike.